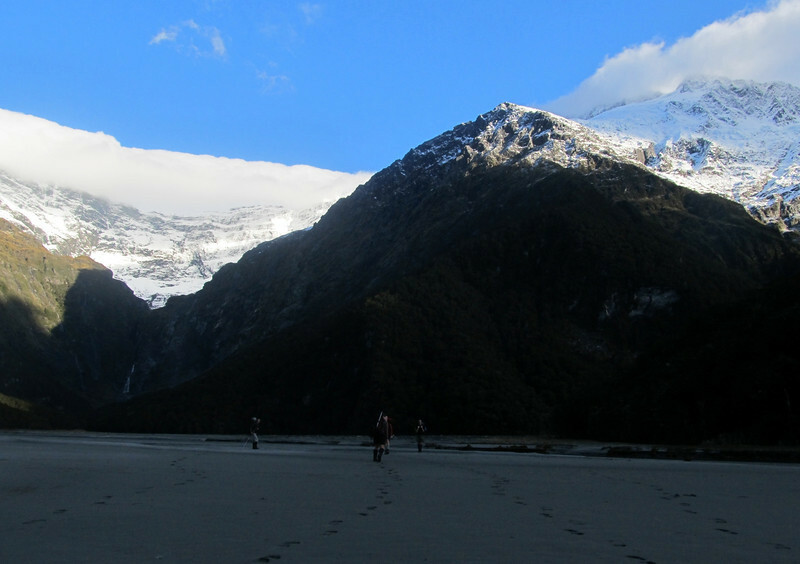 Weekend trip to My Sisyphus (1859m) via East Matukituki, Kitchener and Rainbow Stream. Unexpected north westerly gale made for an interesting camp on Wilmot Saddle on Saturday night. Luckily, we caught a two second glimpse of Mt Aspiring through the cloud on Sunday before we retreated back down to the friendlier valley floor. Team: Brad Nicholson, Jaz Morris, Kat Manno, Tom McKellar and Nina Dickerhof. Aspiring Flats, Popes Nose in cloud.